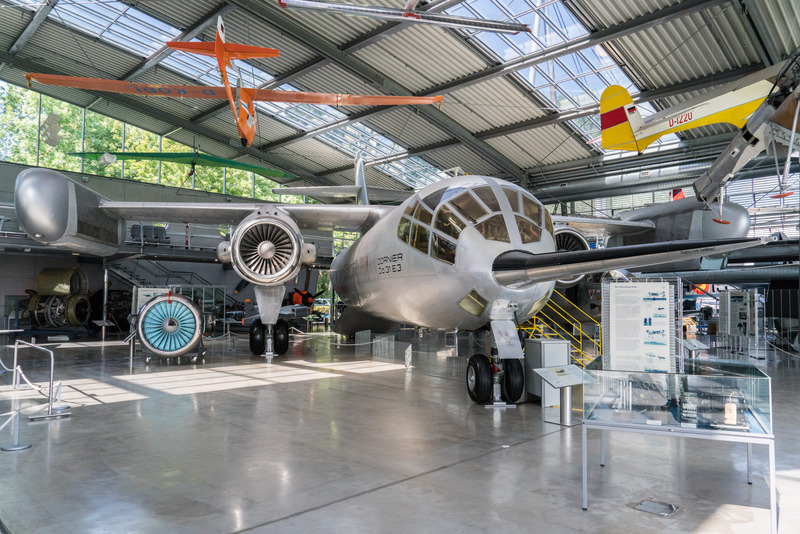 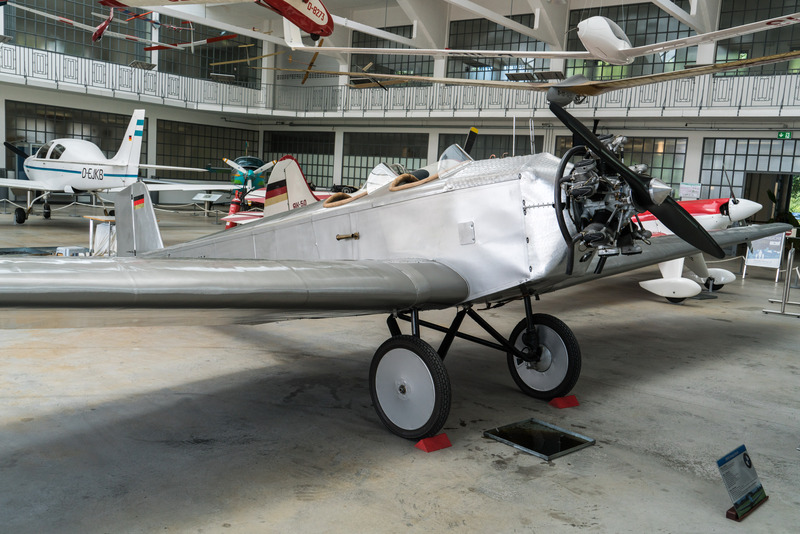 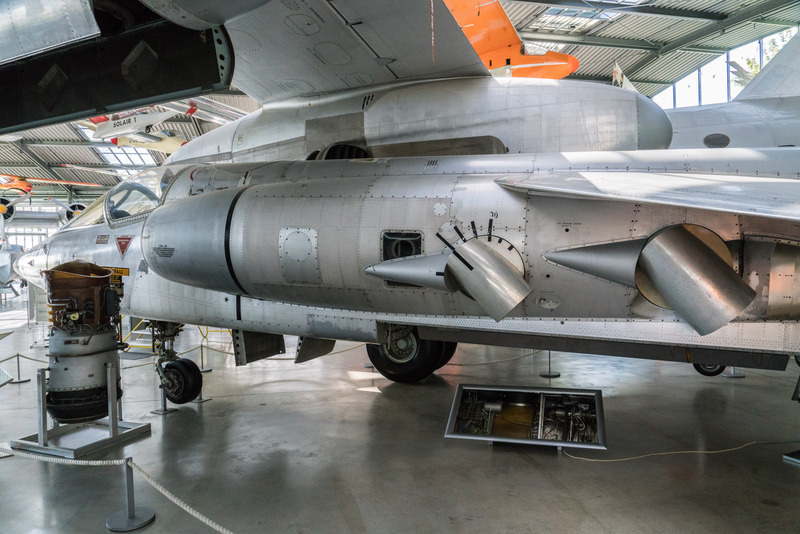 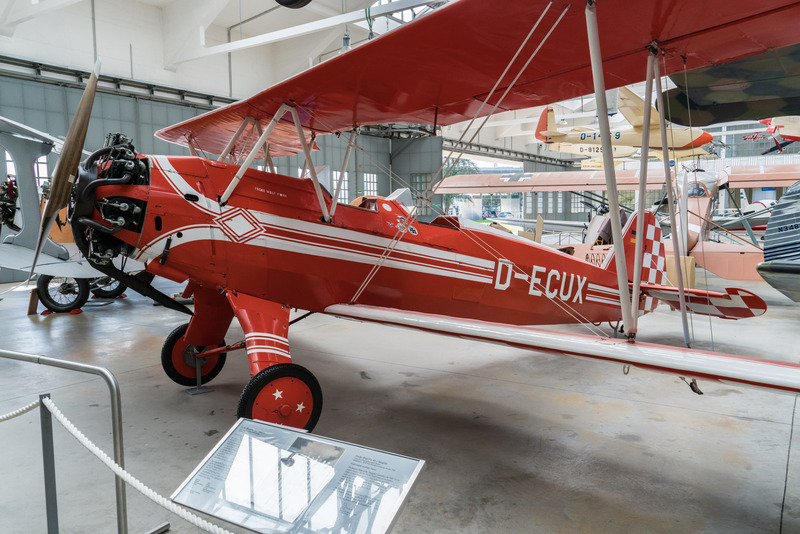 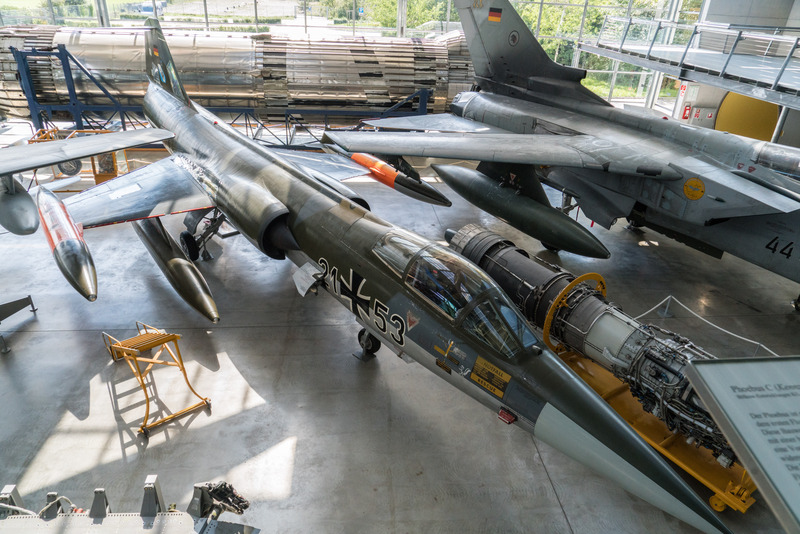 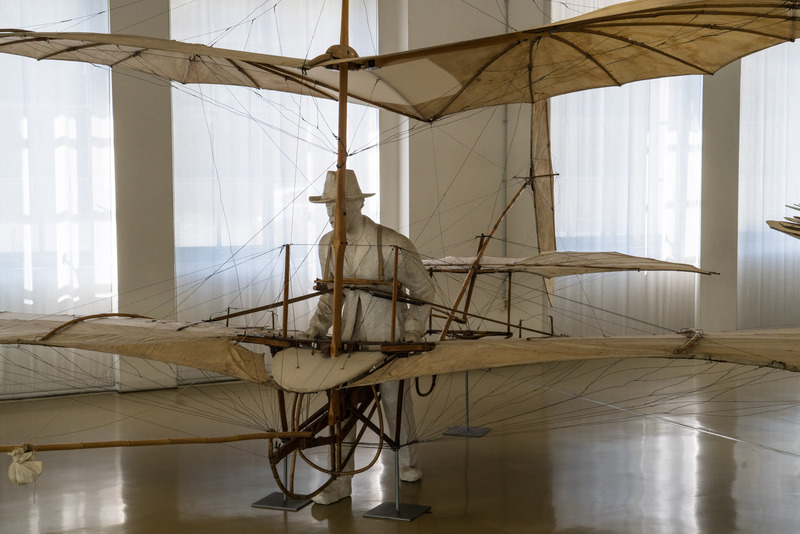 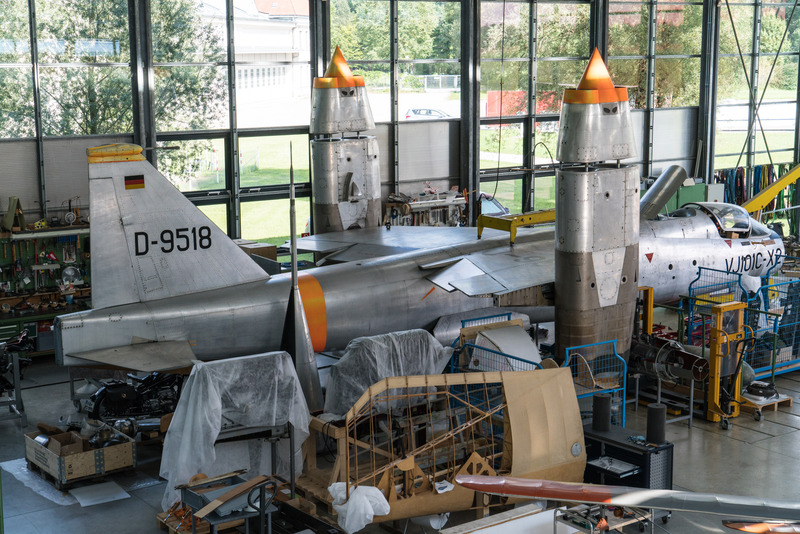 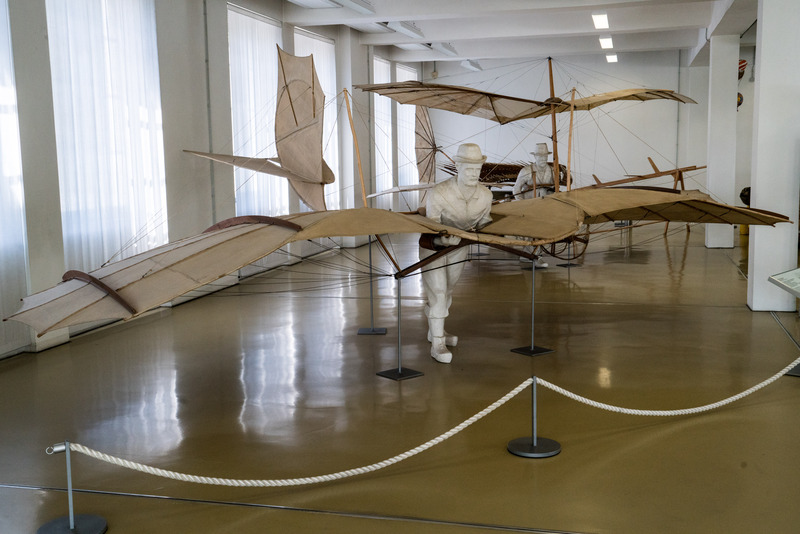 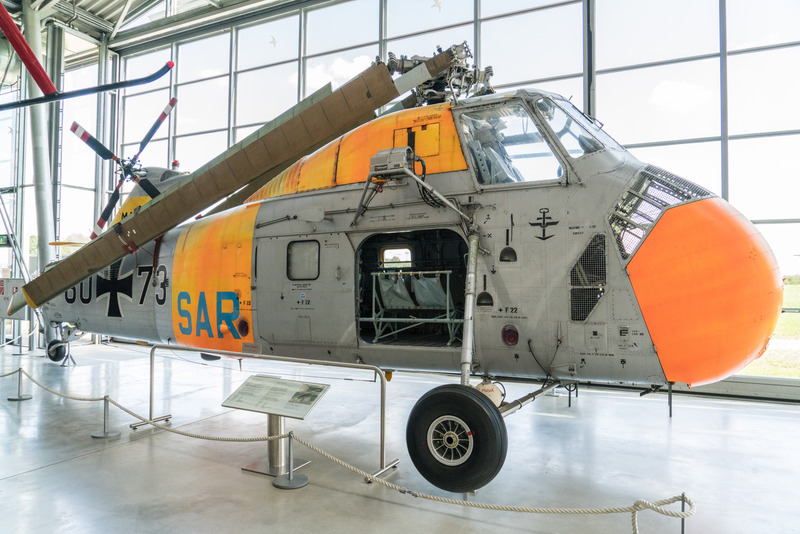 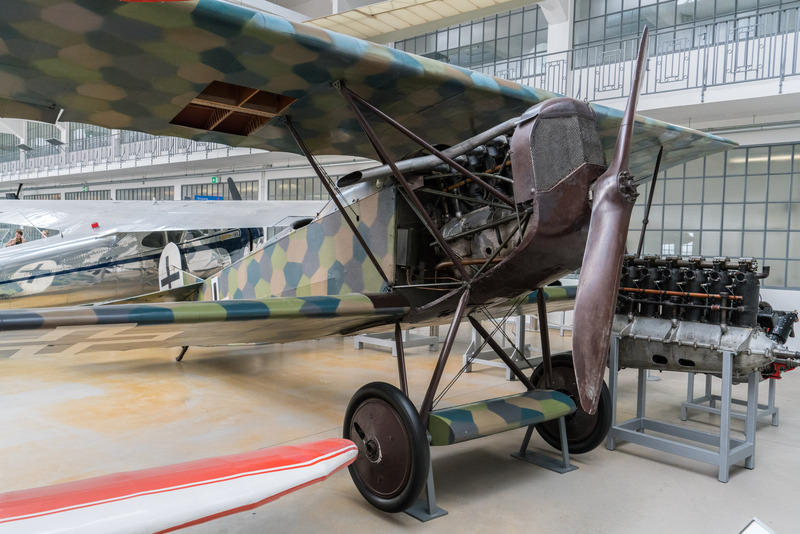 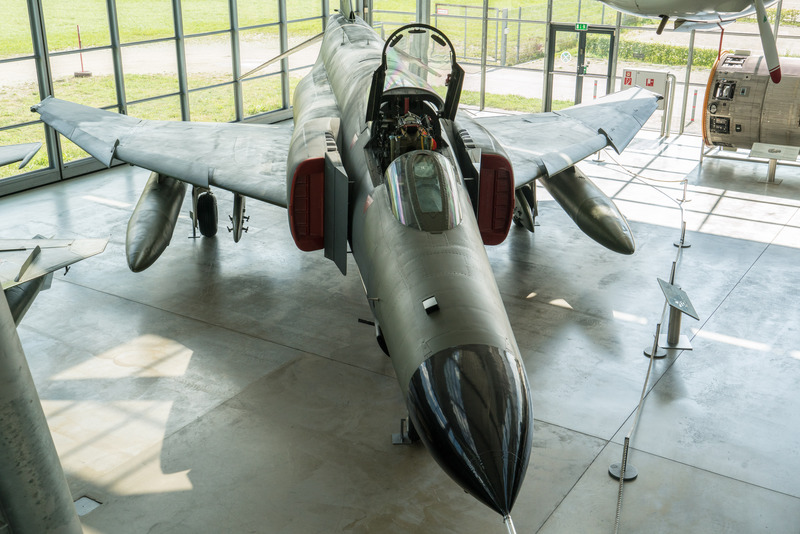 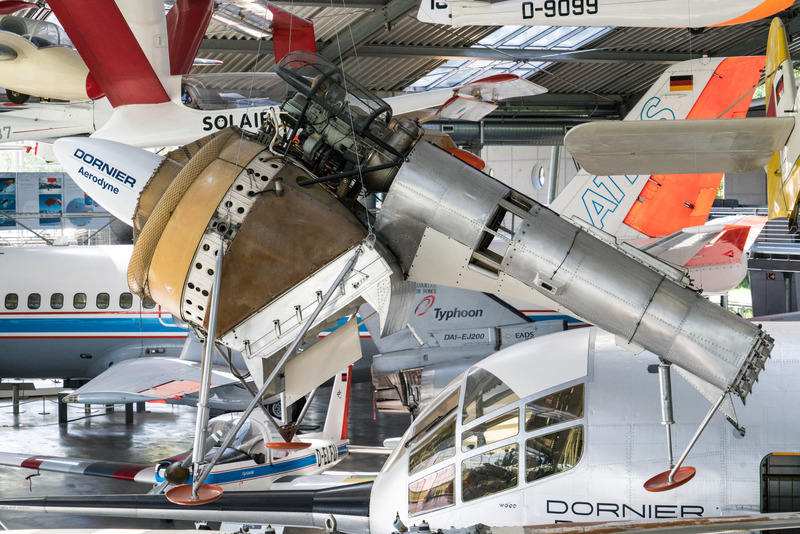 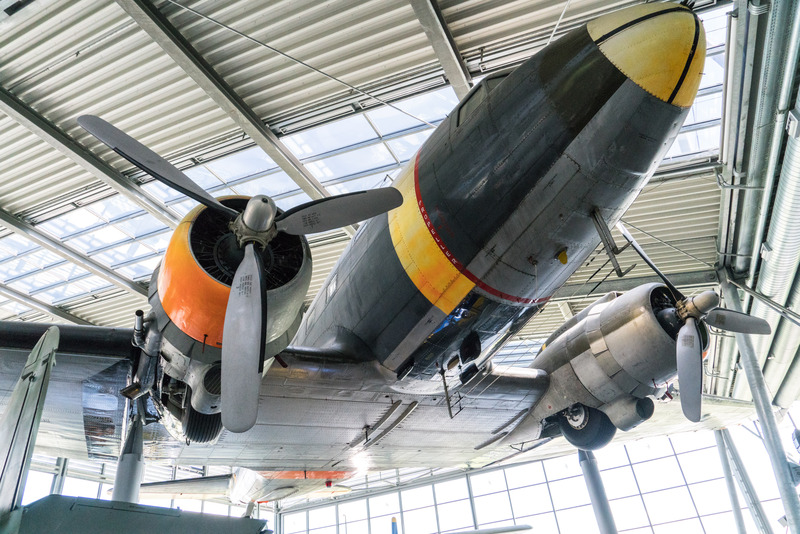 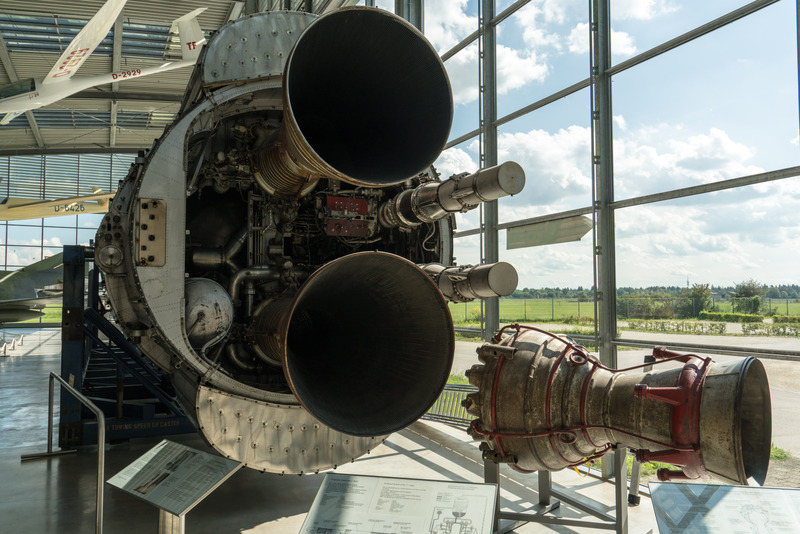 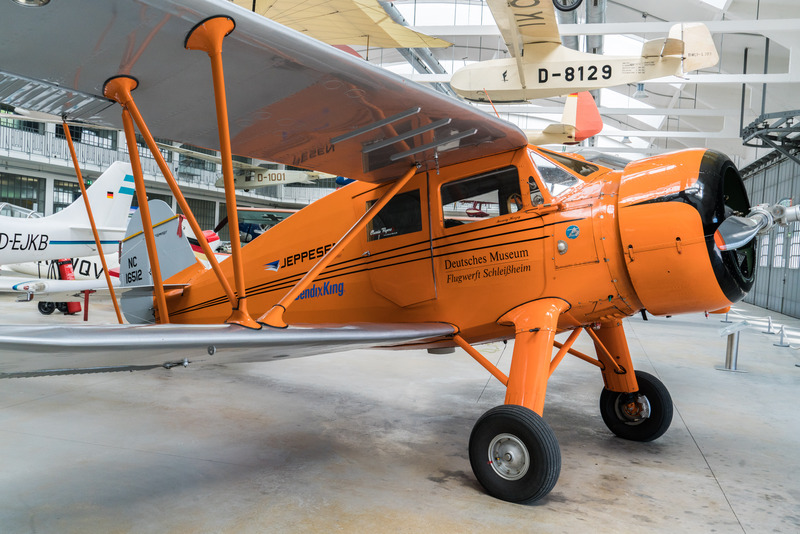 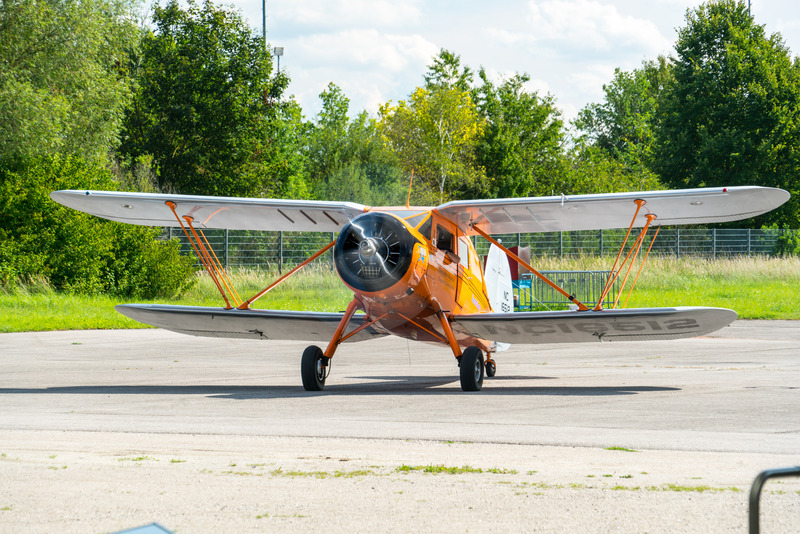 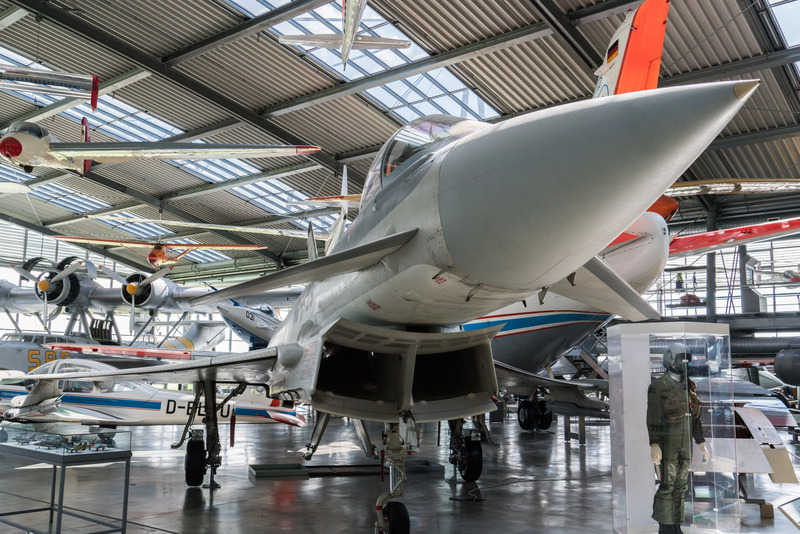 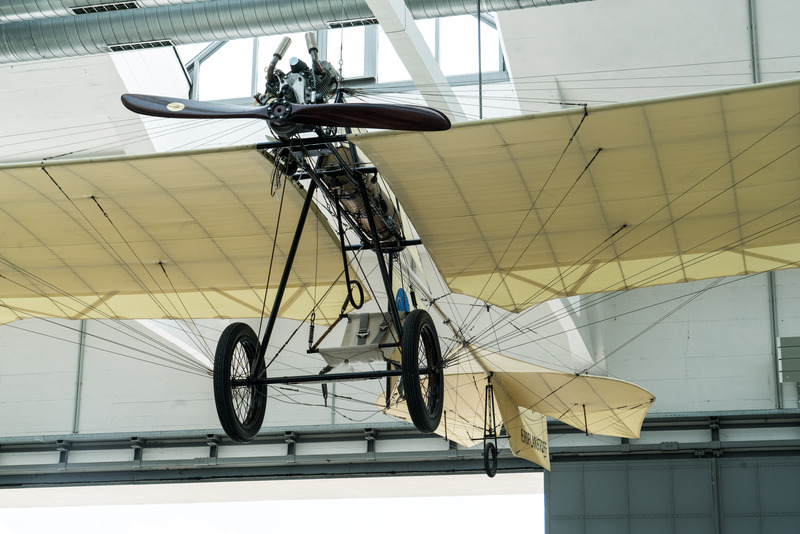 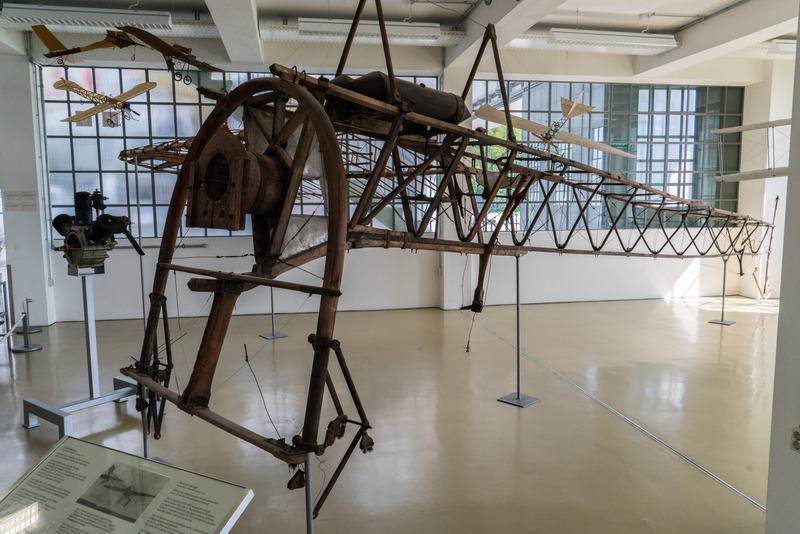 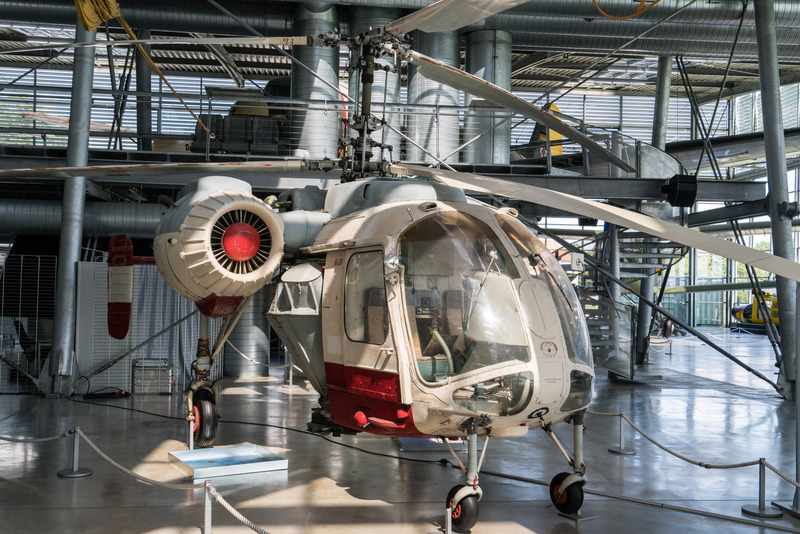 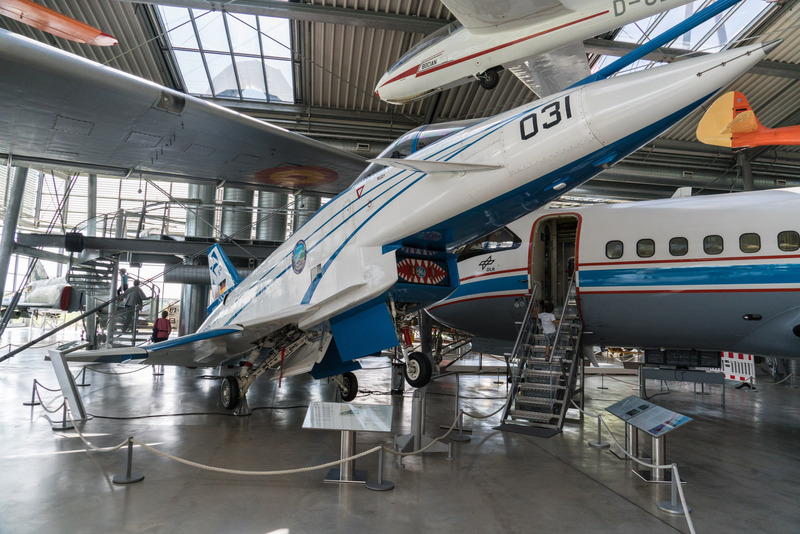 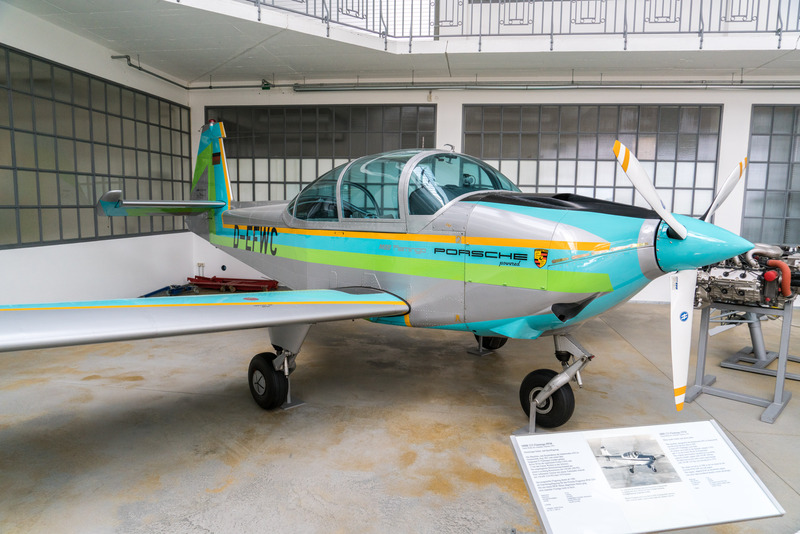 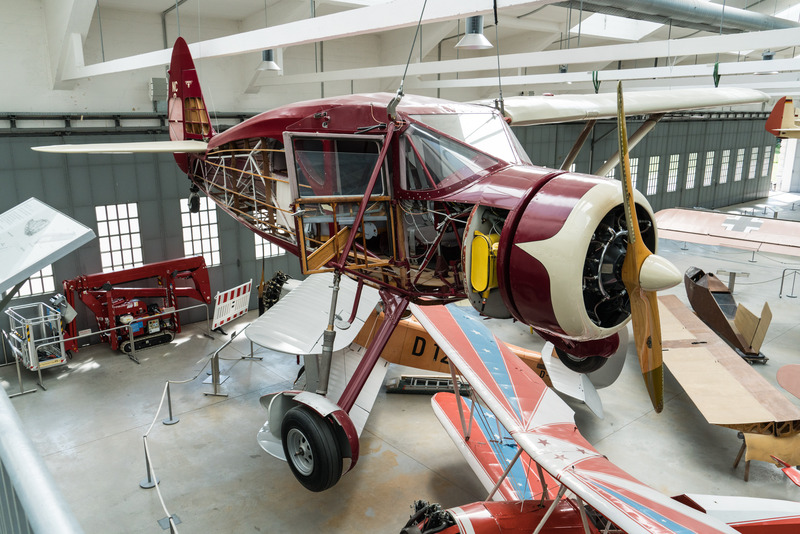 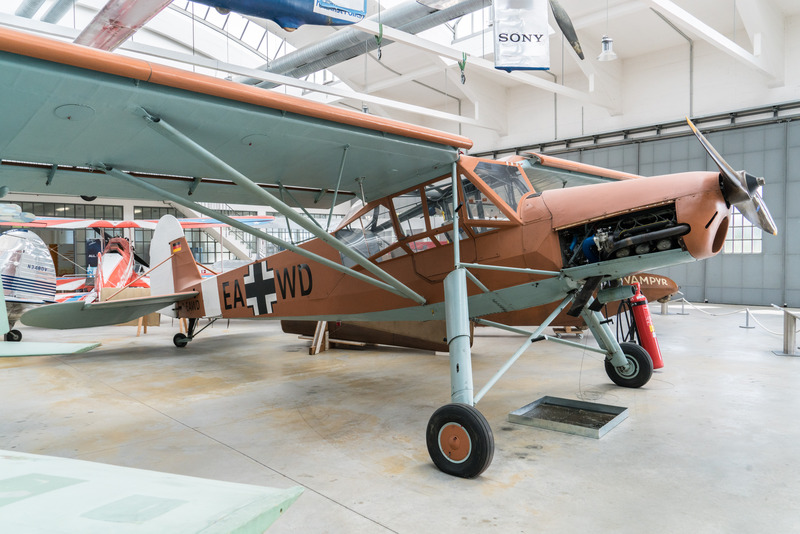 Flugwerft Schleißheim is a Deutsches Museum outpost with a large collection of historical and modern aircraft. 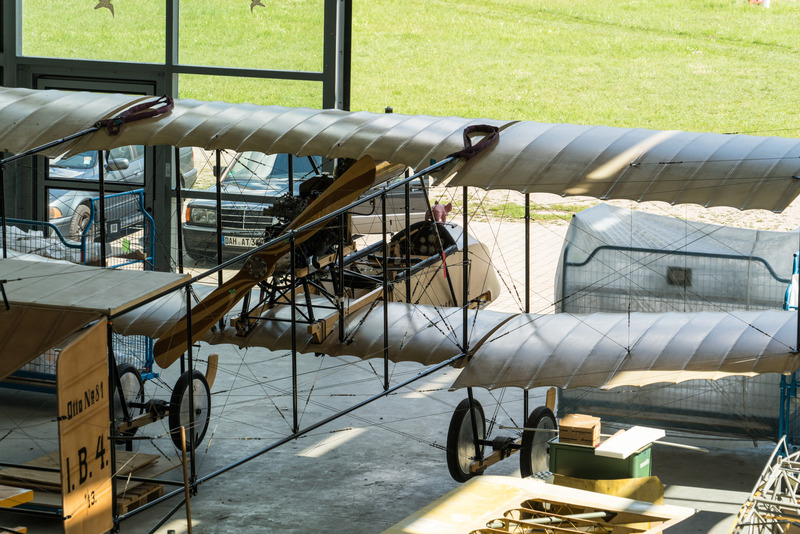 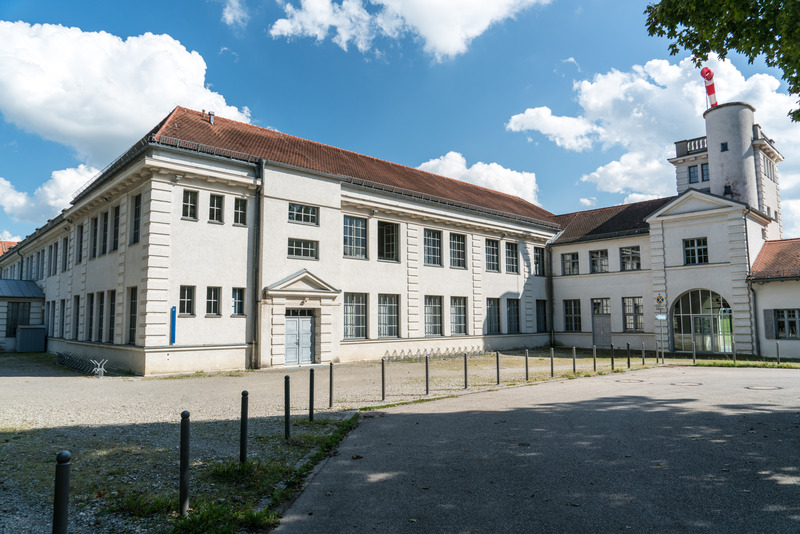 The location started out as an actual airfield of the Royal Bavarian Flying Corps in 1912–1919, and the airfield is still in use for the museum’s restoration work. 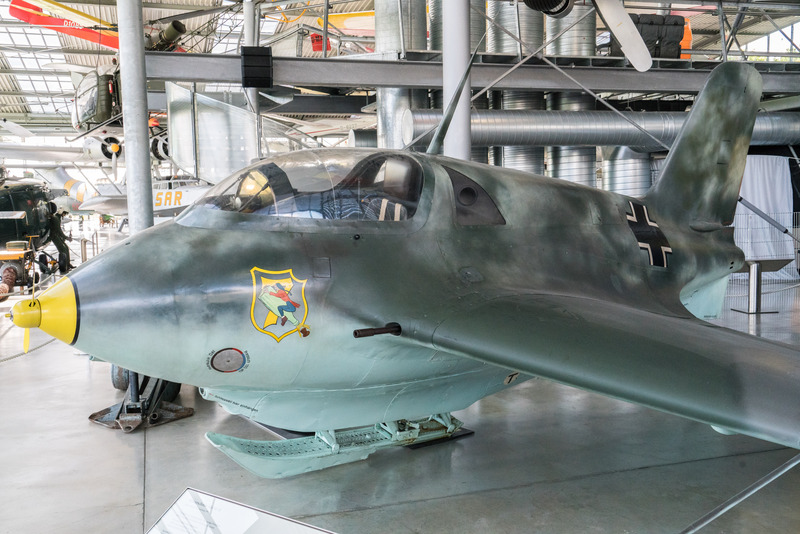 In fact, one well-restored exhibit just landed while I was there! 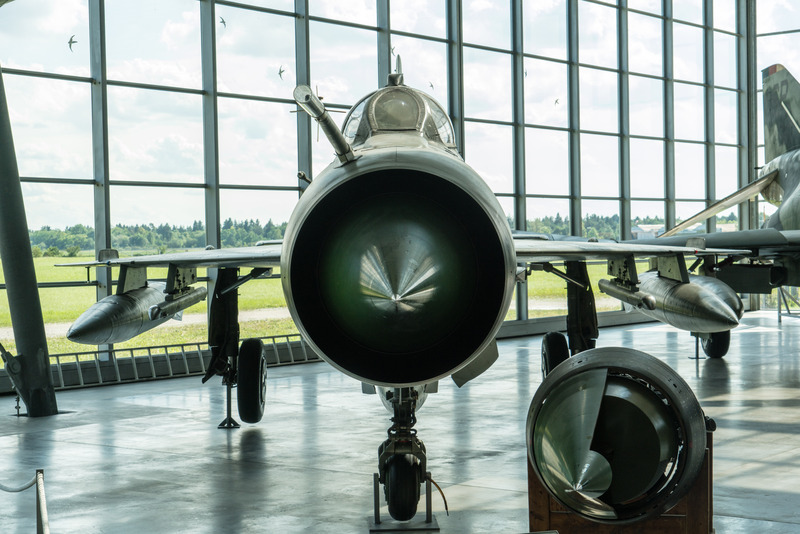 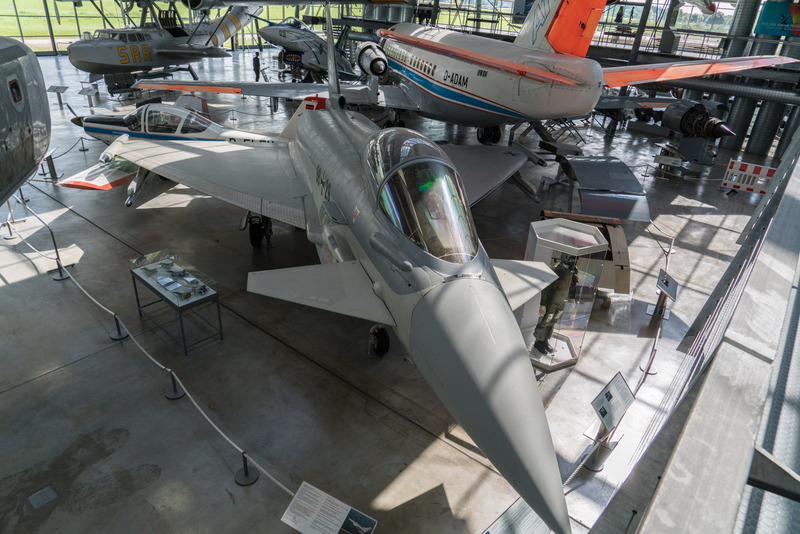 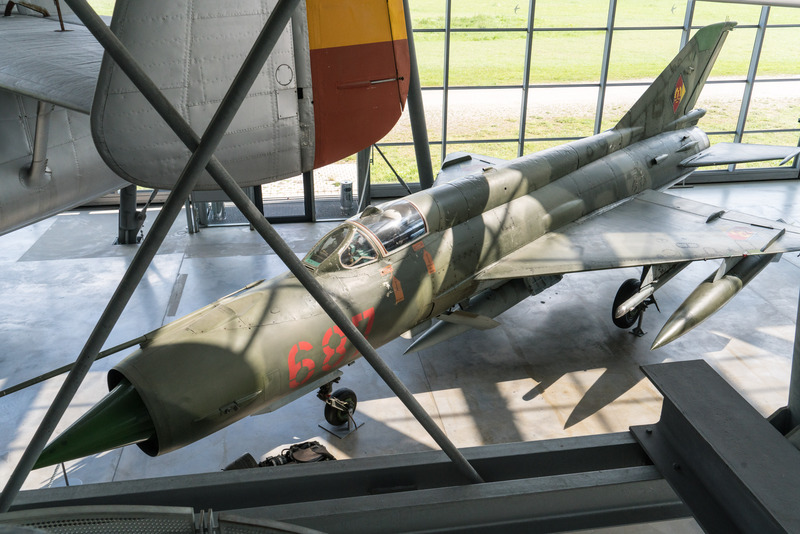 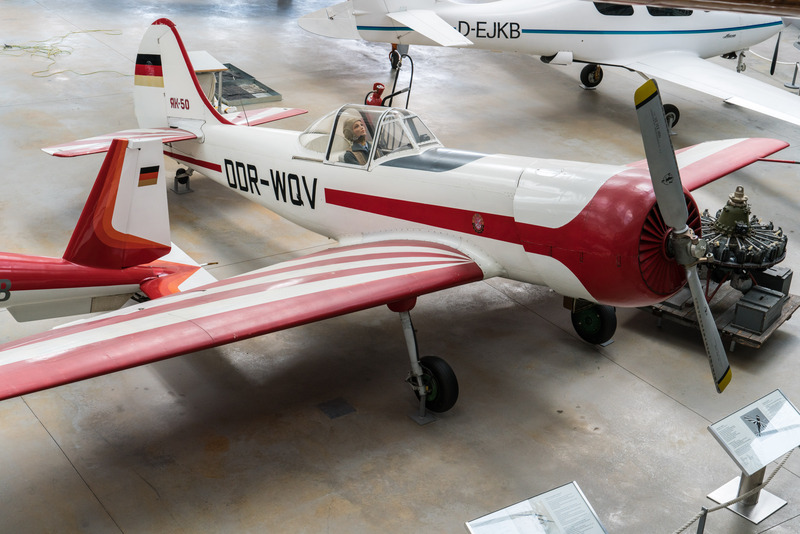 On my photo tour I focused on the actual aircraft (mostly original, some reconstructions) but the museum also houses a large number of scaled-down models, general technical exhibits, and historical memorabilia. 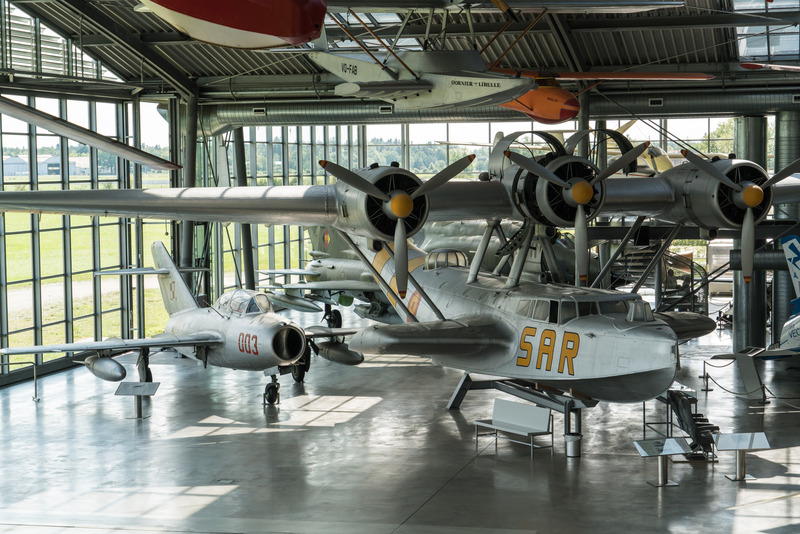 You should definitely pay a visit when you’re in the vicinity of Munich. 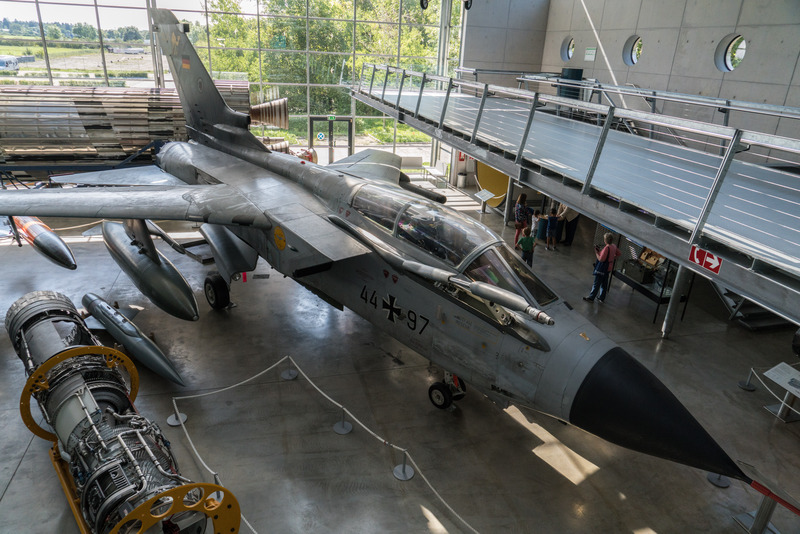 Photography Notes: I took all pictures with a Sony Alpha 7R II and Sony SEL-24240 lens, plus a polarizing filter (sadly ineffective in removing reflections, sorry) and post-processing in Adobe Lightroom to correct brightness and saturation. 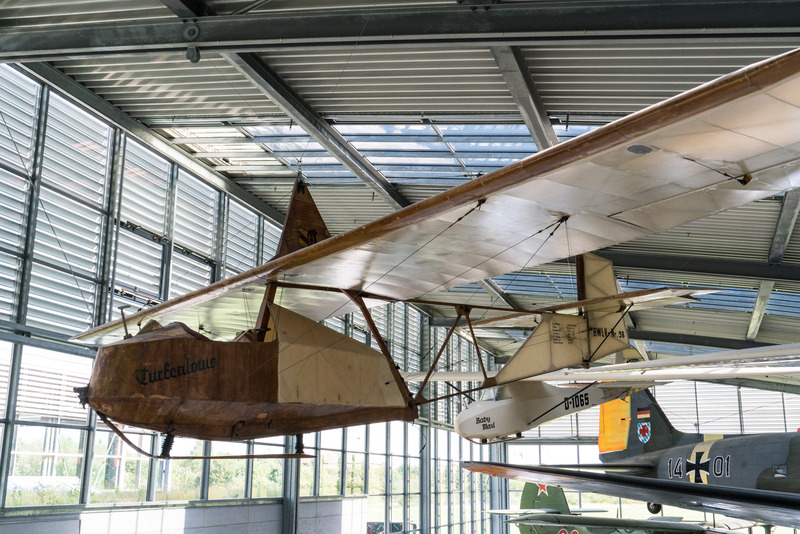 This section includes aircraft from before World War I, as well as some interesting modern gliders. 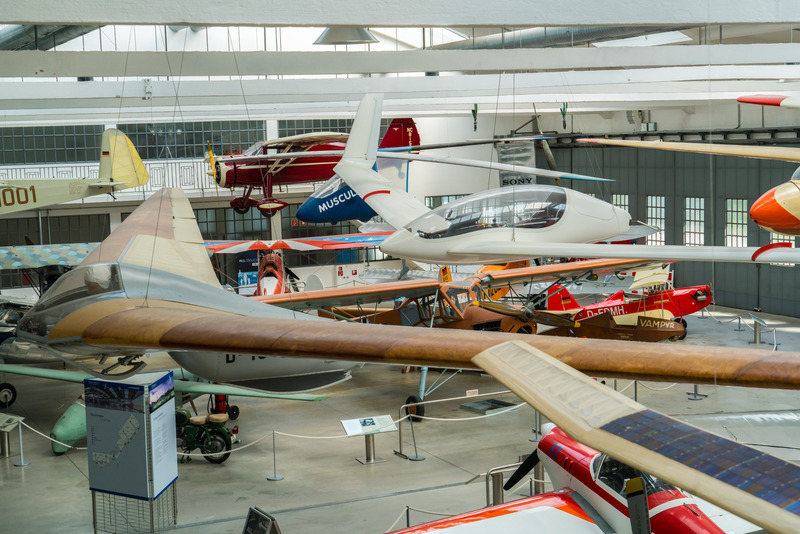 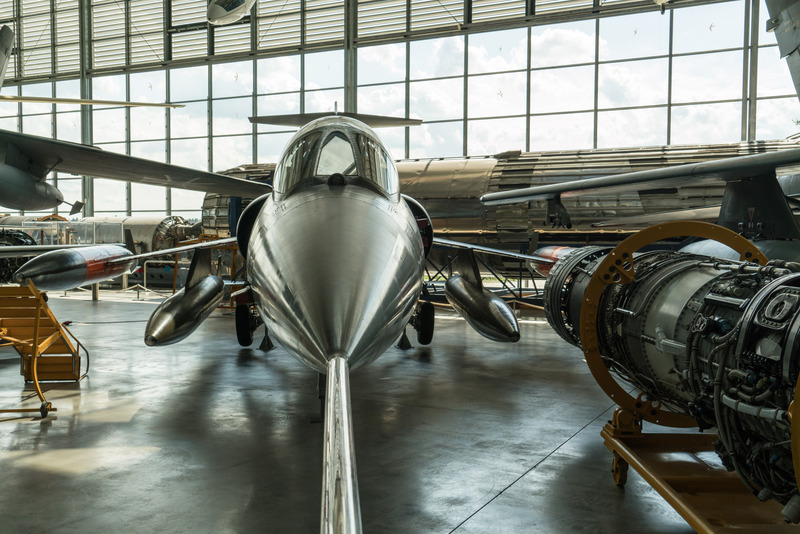 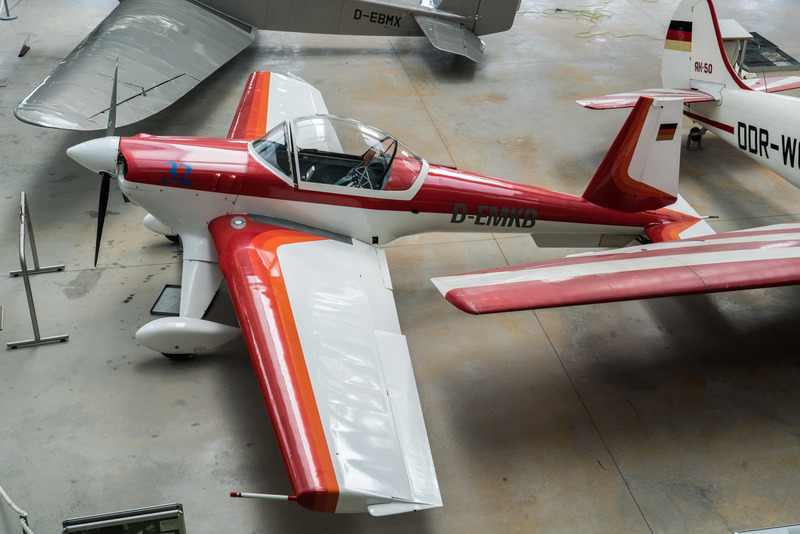 The museum features many more of the latter, in case you’re a glider fan. 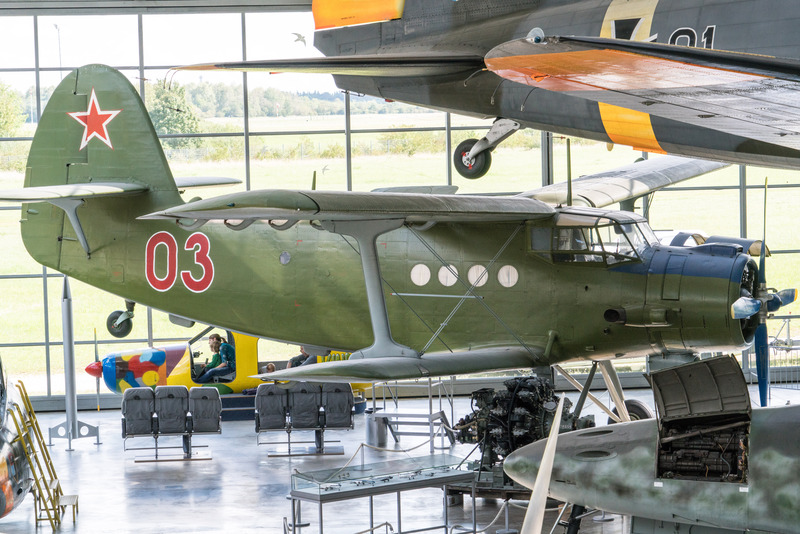 I’ve also added an external picture showing the observation tower overlooking the old airfield. 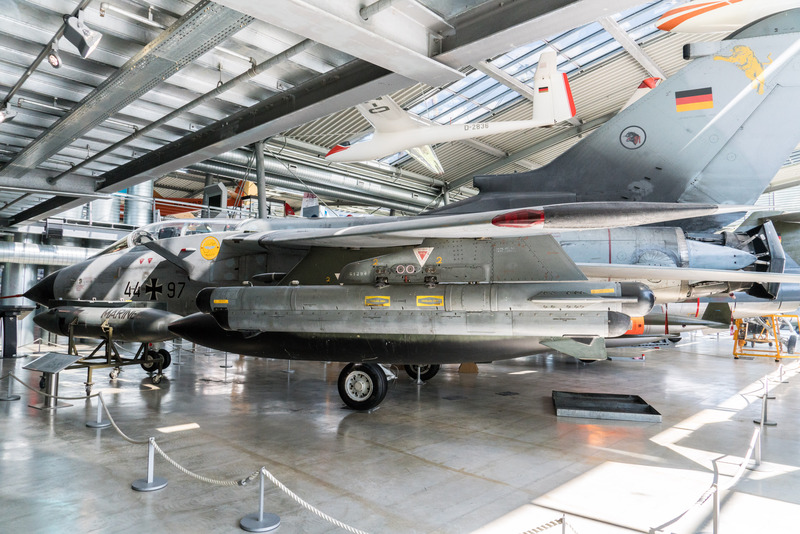 In all galleries, click on any picture to show a full-screen view with description and Exif data. 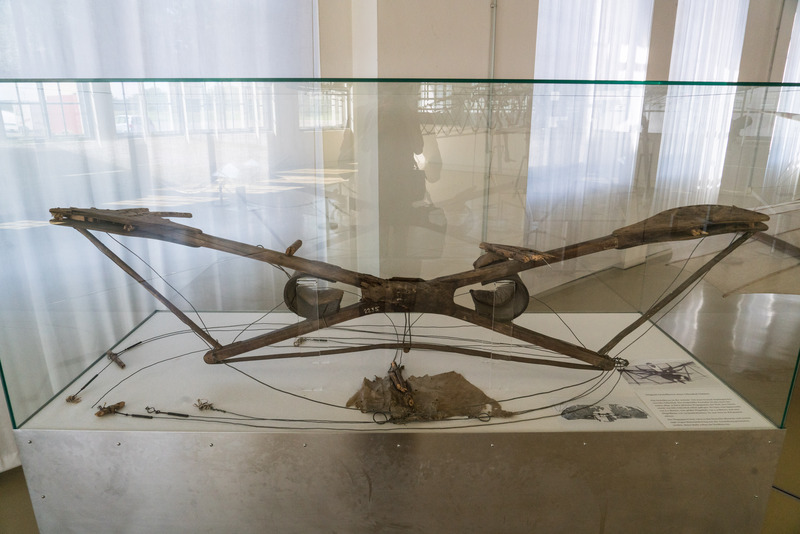 Dates with a slash (e.g. 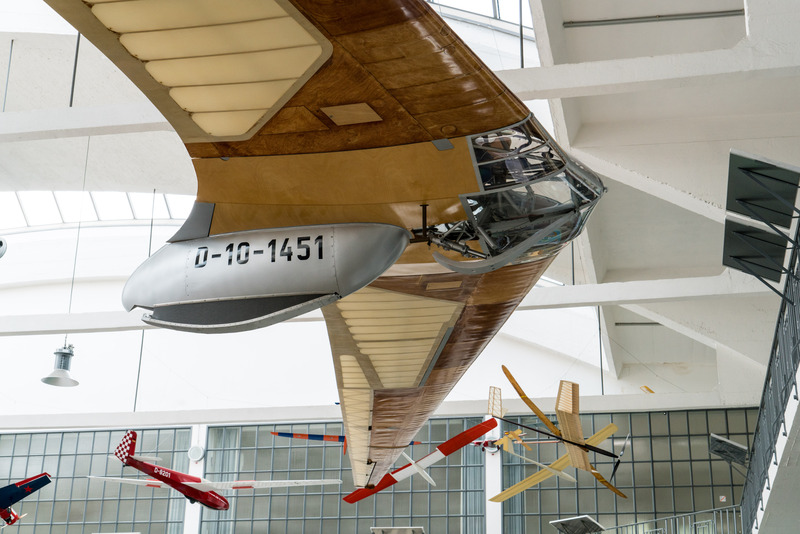 1932/39) indicate the initial production year of a series and the production year of the displayed unit, respectively. 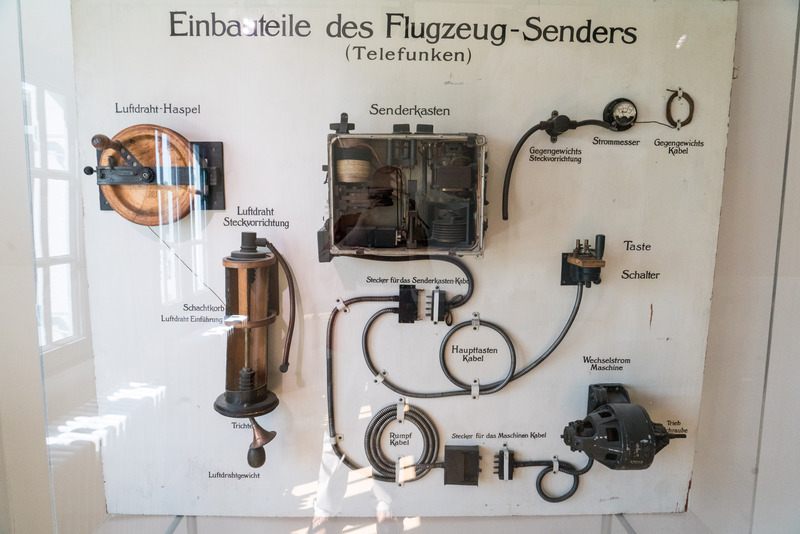 This information was not always available. 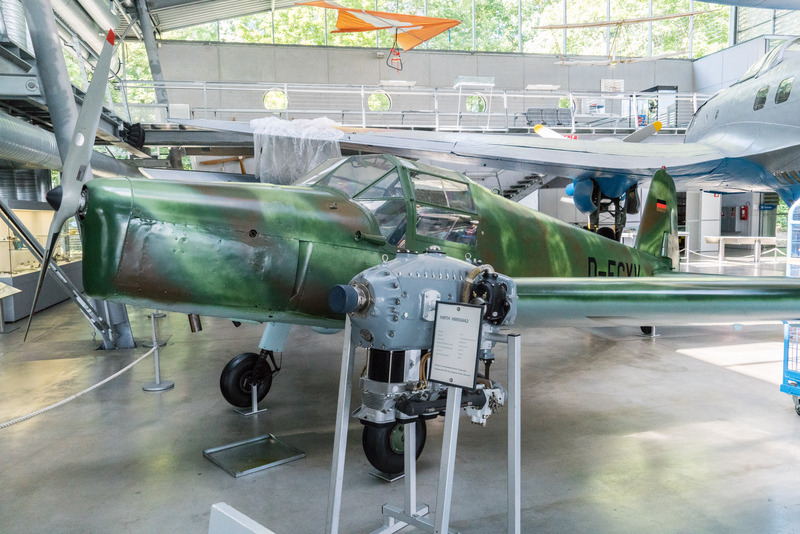 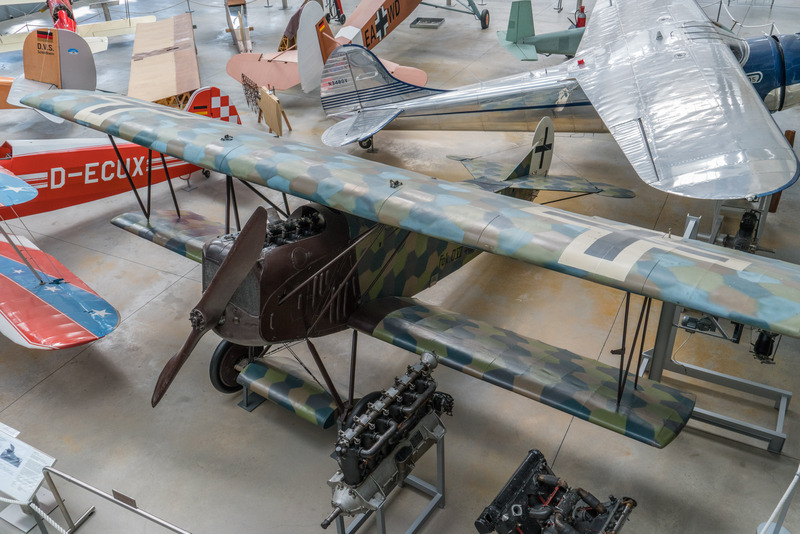 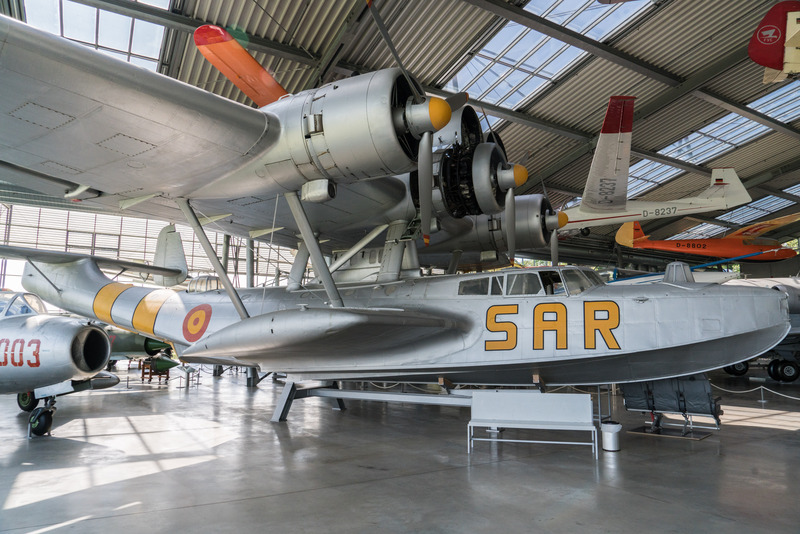 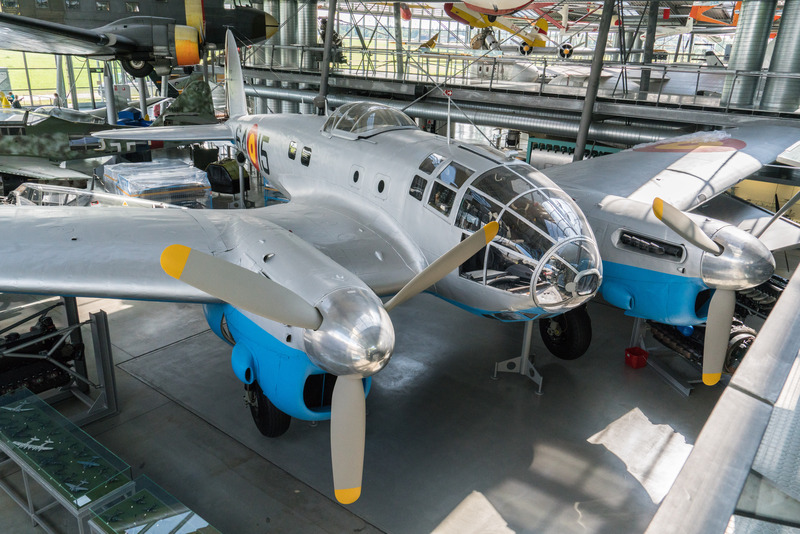 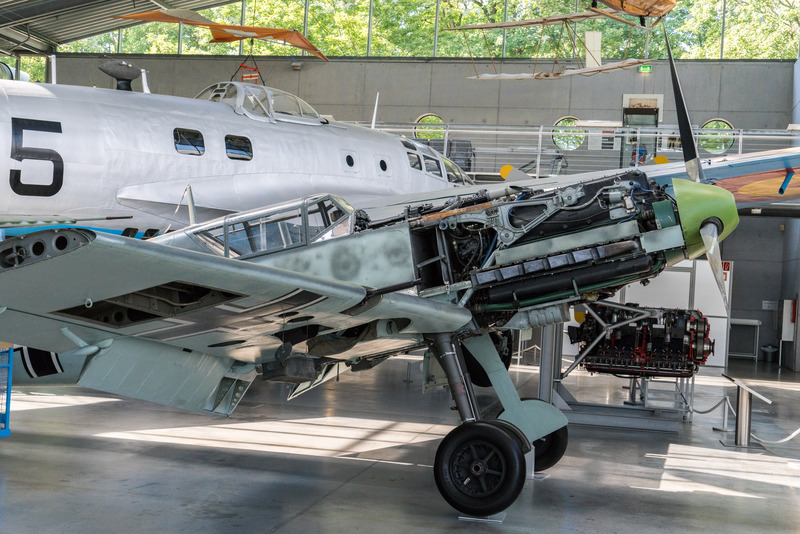 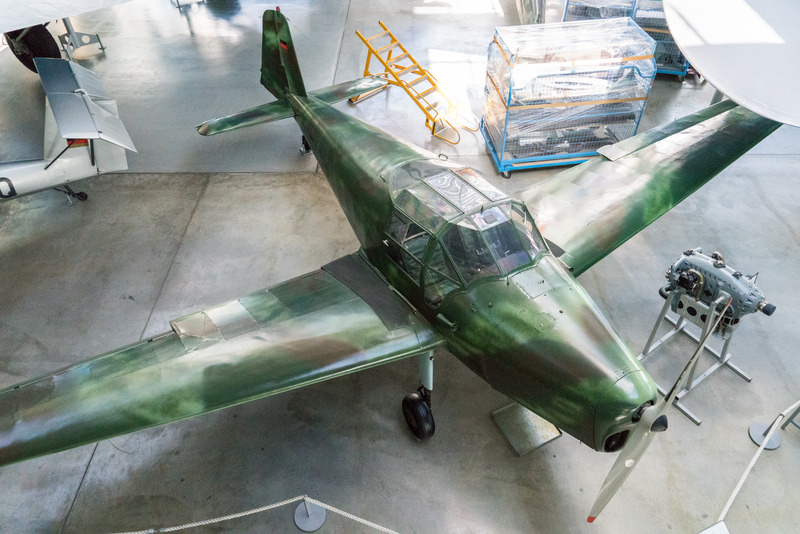 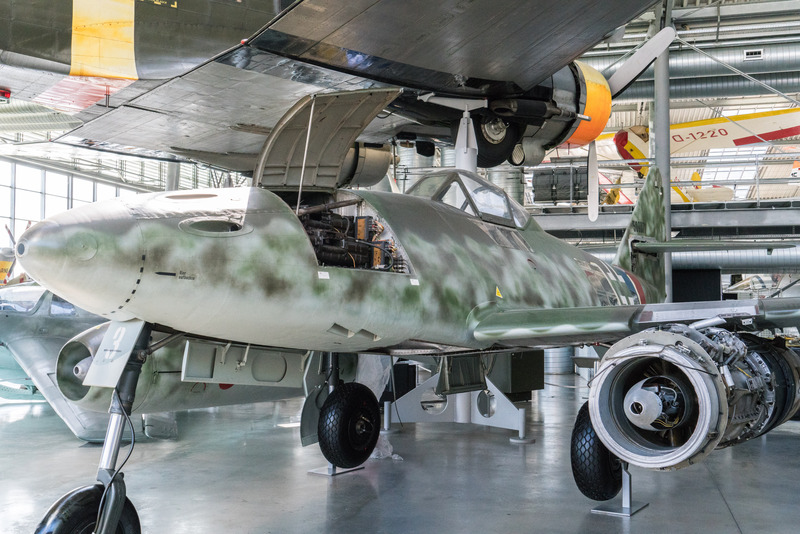 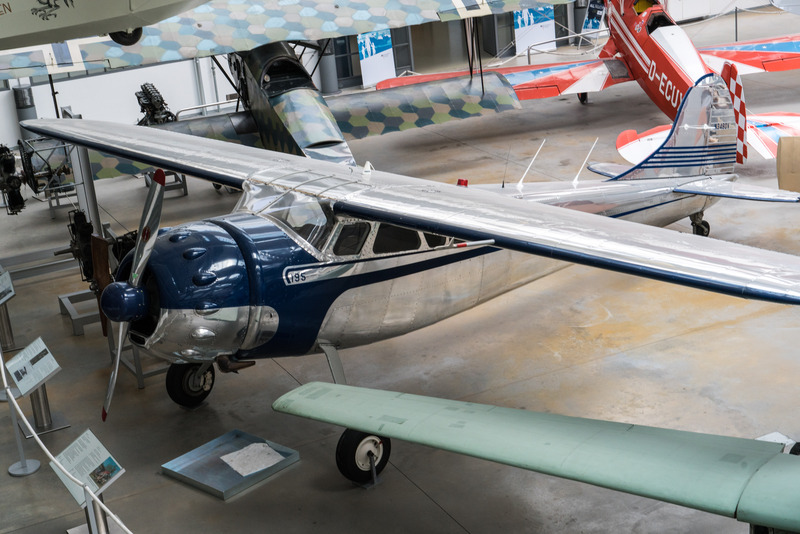 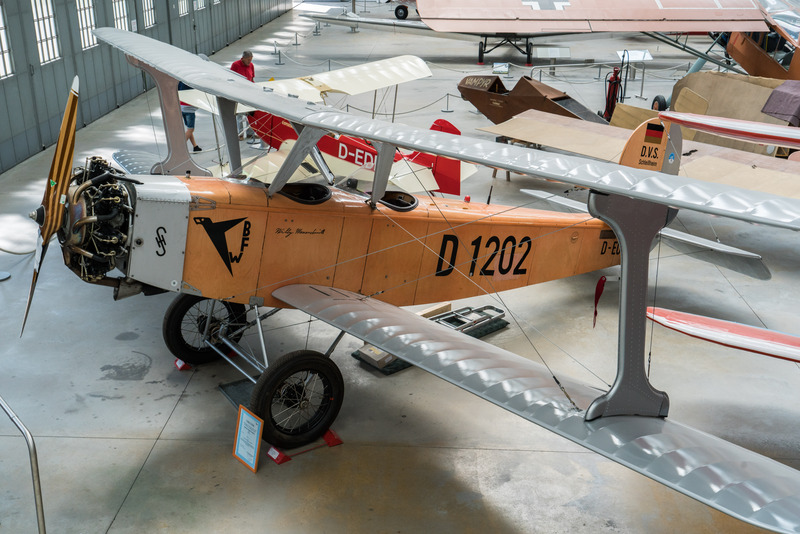 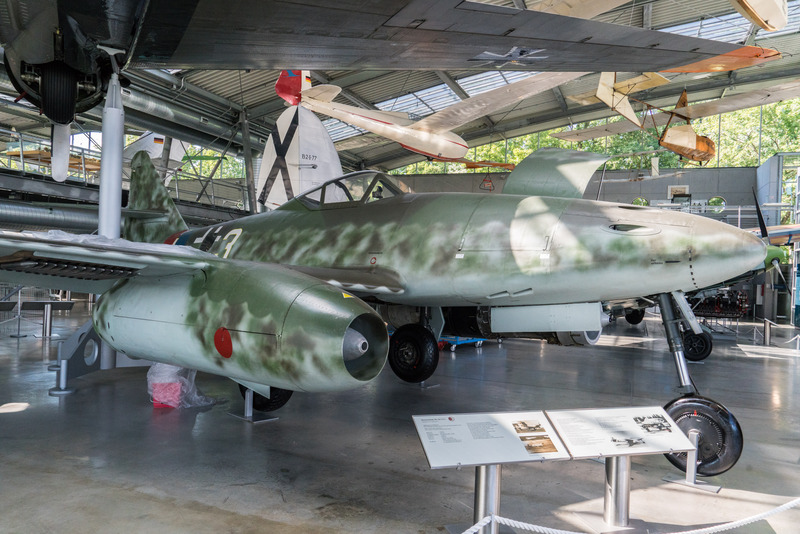 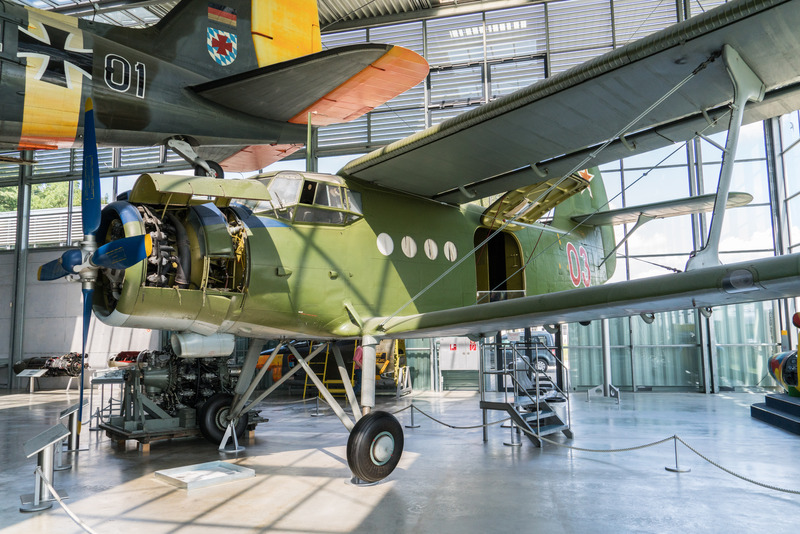 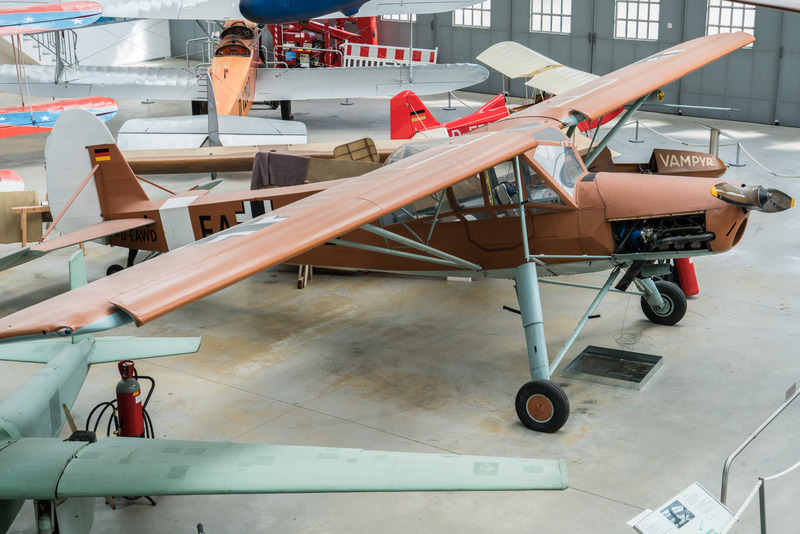 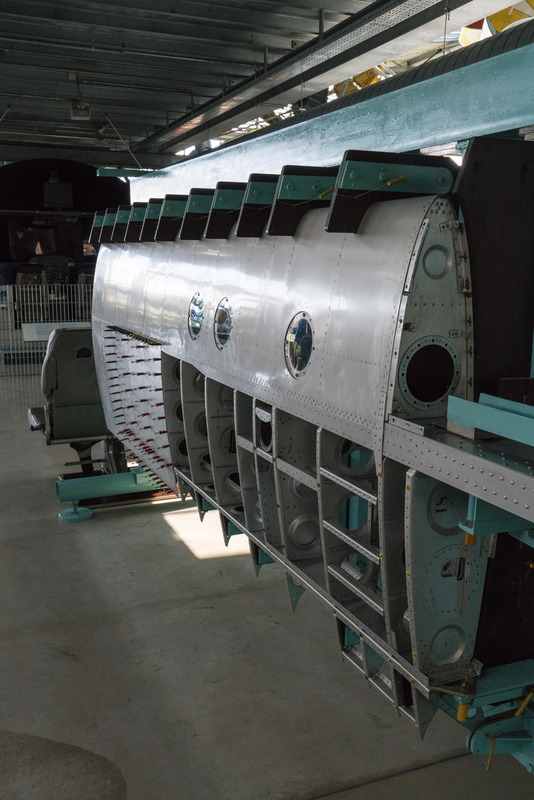 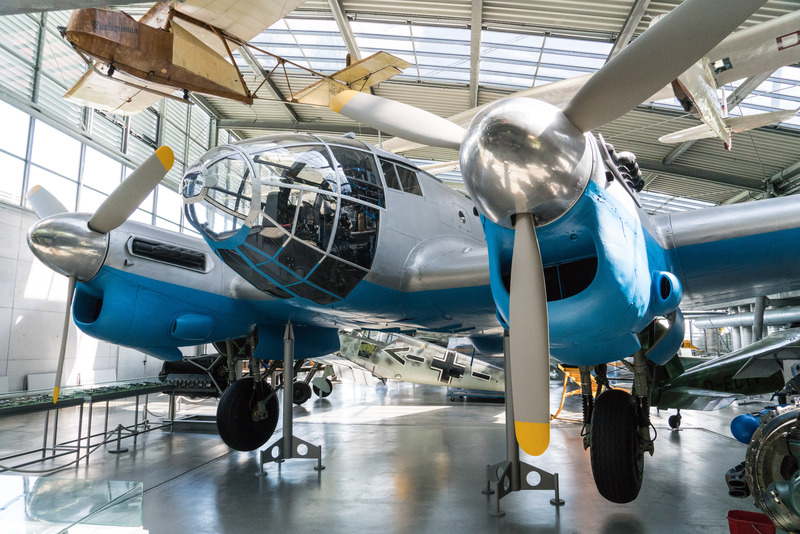 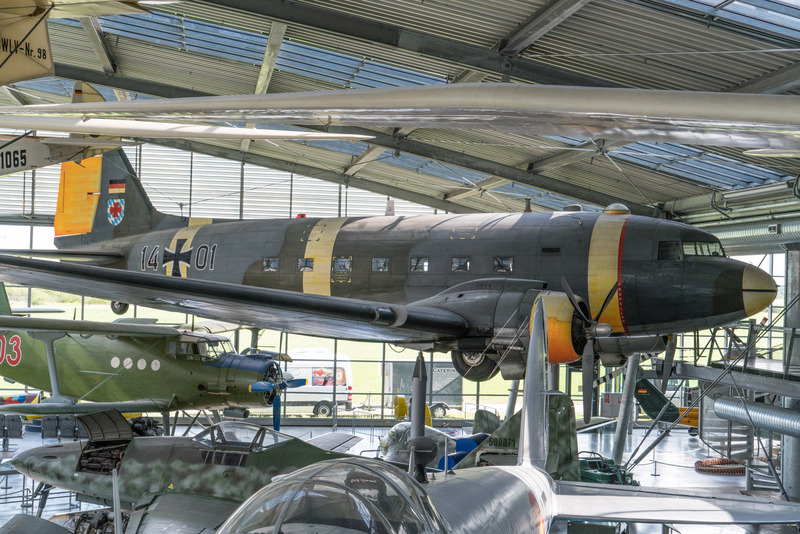 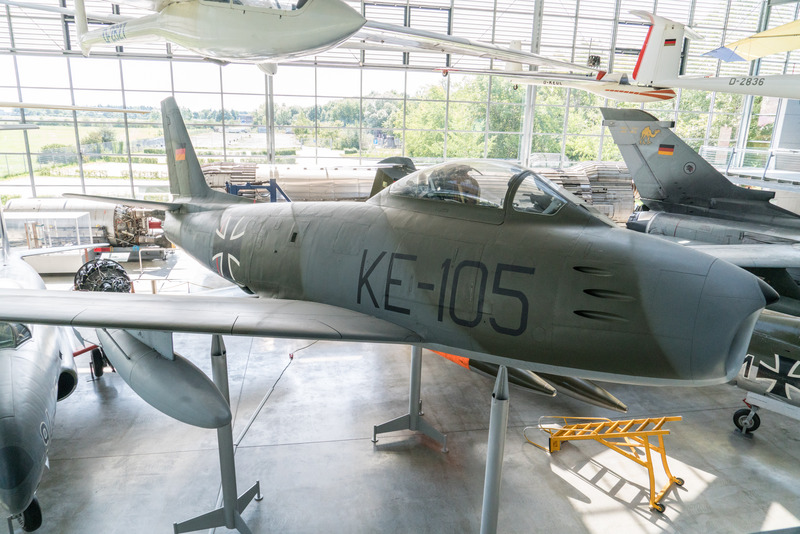 The museum is well-stocked with German civilian and military aircraft from 1914 to 1945, including various Messerschmitts, Dornier flying boats, Fieseler Storch, and Heinkel He-111 bomber. 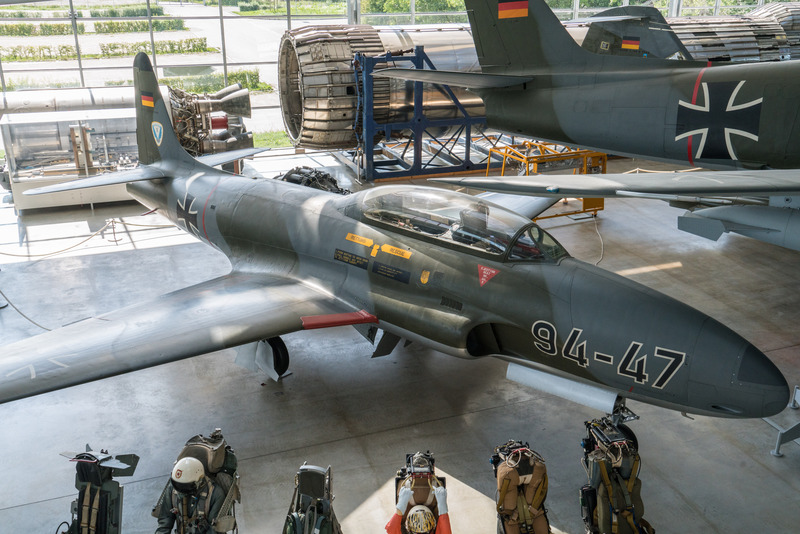 Split after 1945, the two newly formed German states acquired a variety of military aircraft from their respective occupation powers. 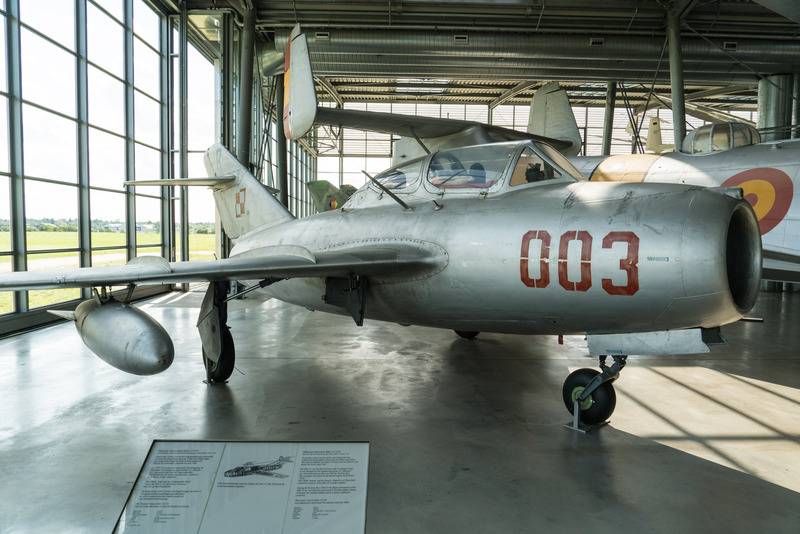 The museum has a number of air force donations from that era, plus some civilian aircraft from USA and USSR. 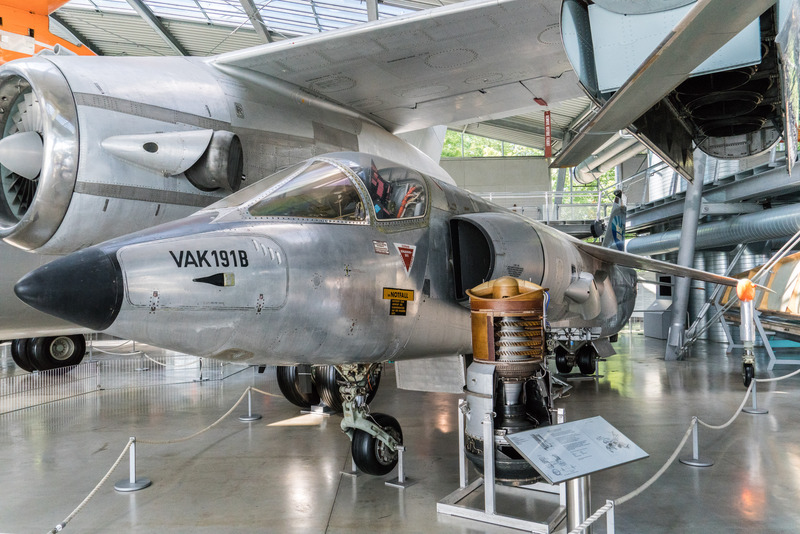 Lastly, here are some modern European planes and a few true rarities: prototypes that didn’t make it into production, especially from the VTOL-obsessed 1960–70s.